← Trying out the OpenROV! Back at Carne Beach on the Roseland Peninsula. 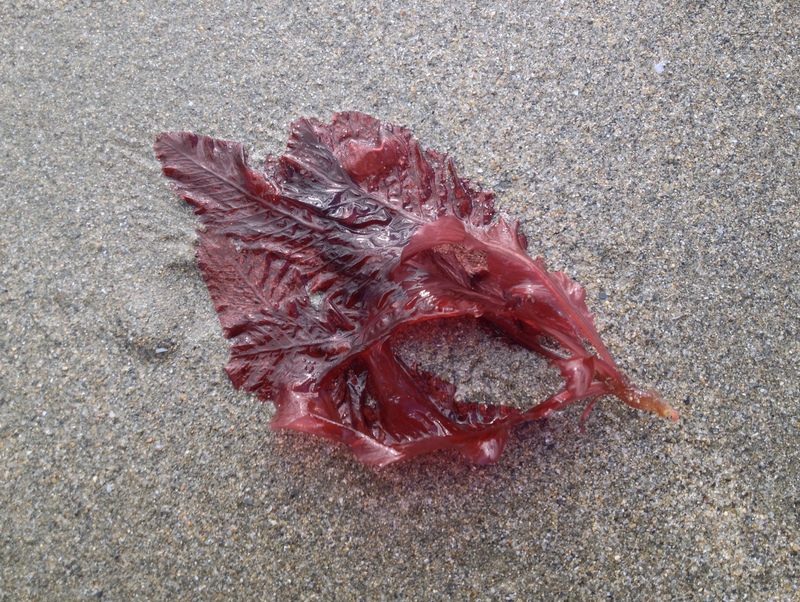 No time for a good rock pooling session, but a nice walk along the beach revealed some nice surprises. Amongst the Laver and Furbellows lay Common starfish, Pod razorshells, Striped venus, Banded wedge shells and Rayed trough shells. 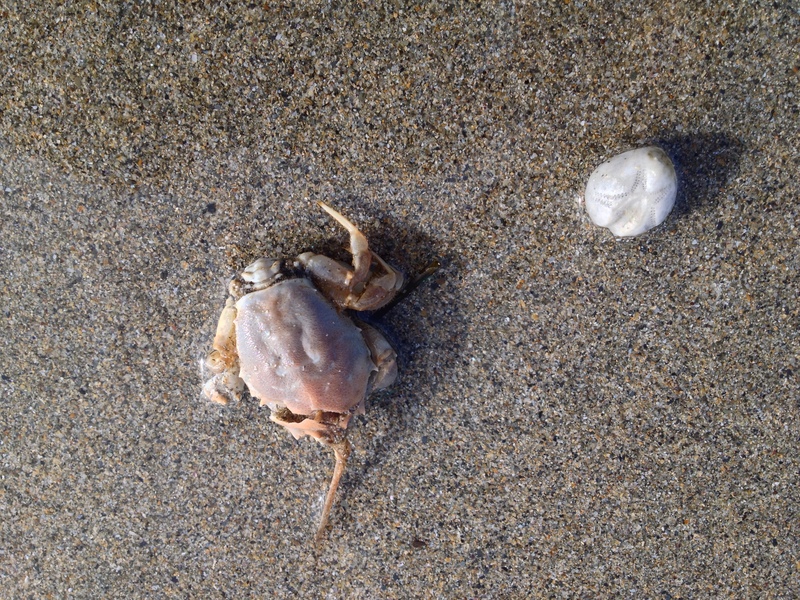 A first: the Masked crab Corystes cassivelaunus (a female): common offshore buried in the sand, and usually only seen when washed up dead on the shore as is the case here (next to it a Sea apple). Also a beautiful piece of Sea beach (or Sea oak? the margins seem not ruffled enough though…). 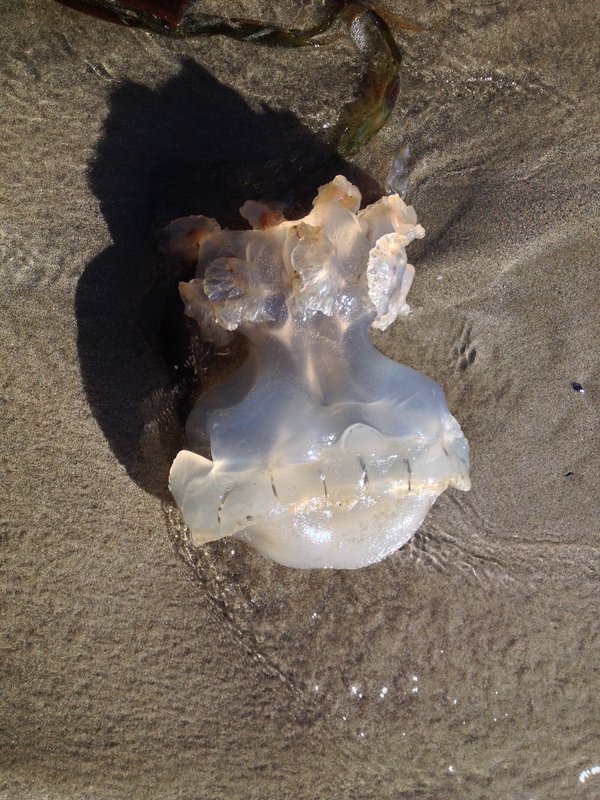 Finally, a Barrel jellyfish Rhizostoma pulmo, remarkably firm and heavy. This is a small one, about 20 cm across; 40 cm is normal and occasionally they grow to more than a meter in diameter, making it the largest jellyfish species in British waters. This entry was tagged Barrel jellyfish, Carne Beach, Corystes cassivelaunus, Masked crab, Rhizostoma pulmo, Roseland Peninsula. Bookmark the permalink. Must have been a sunny warm day in UK yesterday!